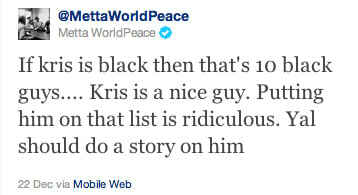 COMPLEX SAYS: Ron&apos;s referring to a Forbes list of the most hated athletes and Kris Humphries was the lone white dude. How did he become one of the most hated? Is it because he looks like Buddy Lee?